If you’re a manufacturer of diagnostic test strips, the future looks bright. Test strips are now regarded as one of the most important tools in Point-of-Care diagnostics for blood, urine and glucose analysis. There’s a rapidly growing market for detection and monitoring of blood glucose, pregnancy, cholesterol, rapid coagulation, infectious disease and other health-related factors. This growing market has fostered an environment of innovation and led to new ideas and inventions. If you’re an inventor or have a startup in this space, there’s more good news – investors see the potential too. The sector has enjoyed almost nonstop funding increases since 2009 and last year funding for test strip applications approached $2.5 billion. According to the Global Test Strip Market Research Report, North America has the largest share in the diagnostic test strip market, followed by Europe and Asia Pacific. But keep your eye on the Asia Pacific market – it’s expected to see the highest growth in the next five years, owing to a rising awareness of self-monitoring in that area. If you’re gearing up to meet this demand, you need a reliable and dependable partner for the production of your device. A diagnostic test strip has many components and each one has to be manufactured with repeatable precision in a facility that can meet exacting OEM requirements by a responsive team that has experience working with sensitive membrane materials. Examples of these include chromatography frits, wicking materials, and Porex PTFE Membranes. Die cut components for wicking fluids are used in clinical science applications such as in vitro diagnostics (IVD) and ovulation and pregnancy testing. The wicking is made of porous plastic materials with open-celled structures and omni-directional pores to support the control of liquid volume capacity and fluid transfer rates. If your device uses flow assay wicks and urine and saliva collection media wicks, you may require the services of an ISO 13485:2016 certified die cutter. 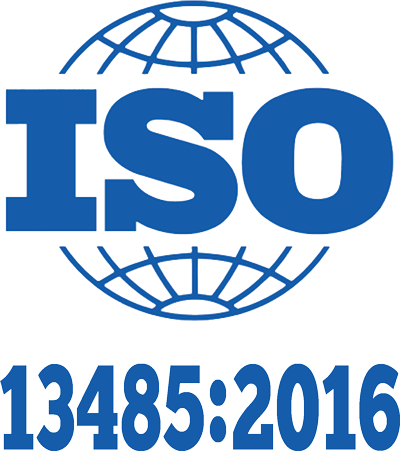 ISO 13485:2016 is a standard specific to medical products that supplements ISO 9001:2015 requirements, extending to process controls (including environmental controls), special processes, traceability, and record retention. Porex chromatography products are manufactured from polyethylene (PE), polypropylene (PP) and polytetrafluoroethylene (PTFE) that is uniquely designed to remove contaminating lipids, salts and proteins. Porex’s proprietary sintering process optimizes solid-phase extraction (SPE) processes by reducing interferences and reducing the number of extractables. At Interstate Specialty Products (ISP), we work with established device manufacturers as well as start-ups with innovative new products. 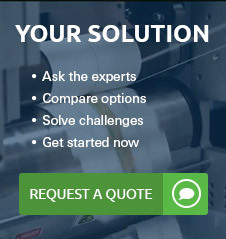 Our goal is to help you with the components and customized services needed to complete your device – precision die cutting, a cleanroom environment, prototypes and short runs for clinical trials, moving through the product life to full production volumes. 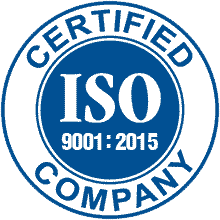 We’re certified for ISO 9001:2015 and for ISO 13485:2016. Companies receiving the ISO 13485:2016 certification must demonstrate their ability to provide medical devices and related services that consistently meet customer expectations and regulatory requirements. To learn how our die cut custom components can support your diagnostic test strip application, contact us on-line or call (800) 984-1811.